Class is held in the "Dance" building on the campus of Interlochen Center for the Arts (4000 M-137, Interlochen, MI 49643). 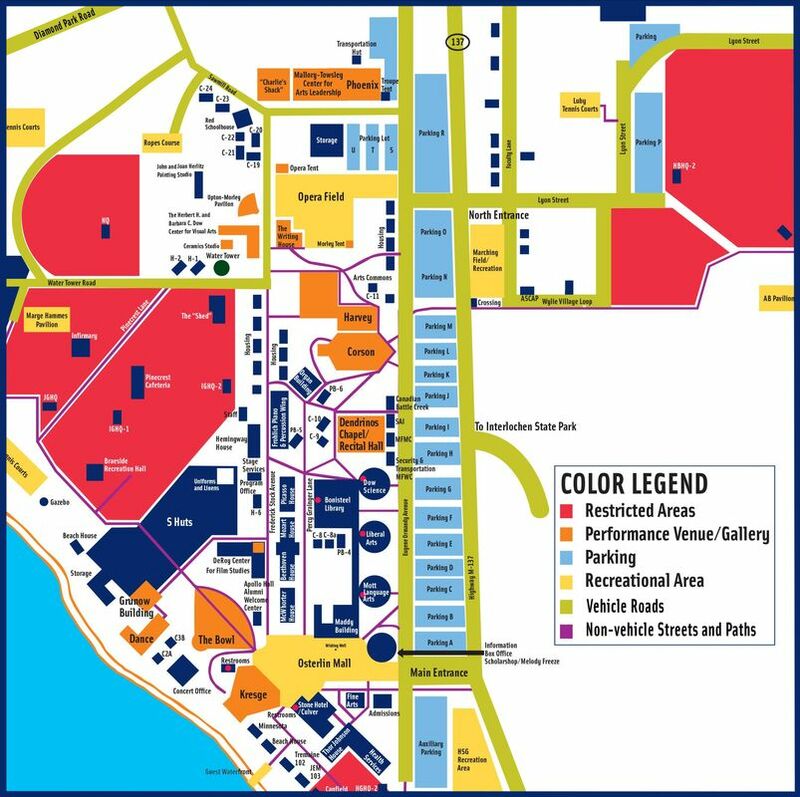 The Dance building is located on the lower left hand corner of the map in orange next to "The Bowl." Classes are $10 each. Please bring any of your own props such as a mat, yoga blankets, belts, blocks, and bolsters. I do have limited props available as we begin if you don't have any.